This surveillance camera is made for outdoor nighttime recording. 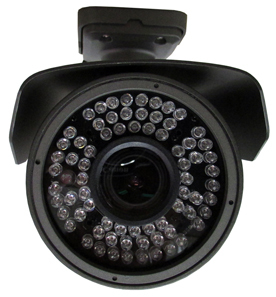 It has infrared night vision and LEDs for recording up to 131 feet away in total darkness. 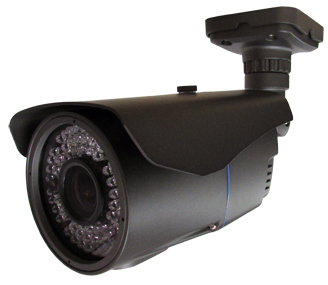 The security camera also has a 2.8-12mm varifocal lens and digital zoom. 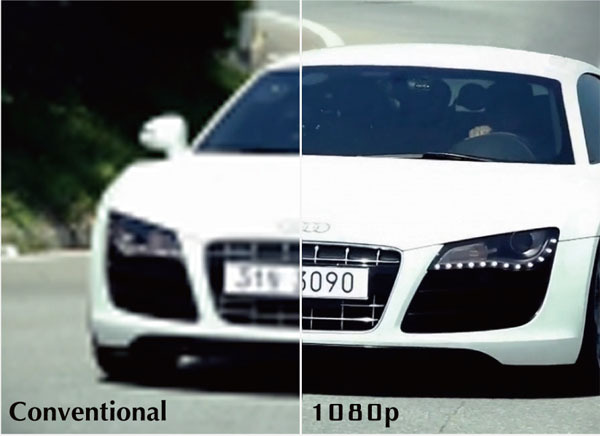 It records up to 30 frames per second with a 1080p resolution. 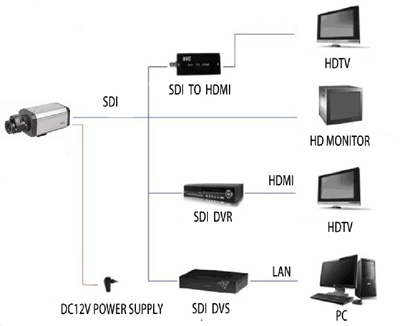 NOTE: HD-SDI cameras require a HD-SDI DVR to view or record. They are not compatible with traditional analog DVRs or DVR cards. 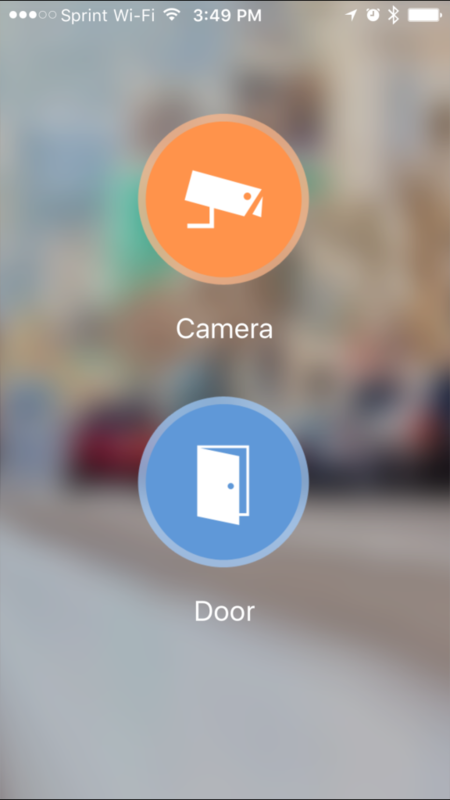 We offer our own WorldEyeCam mobile apps for iPhone, iPad, Android phones and tablets. 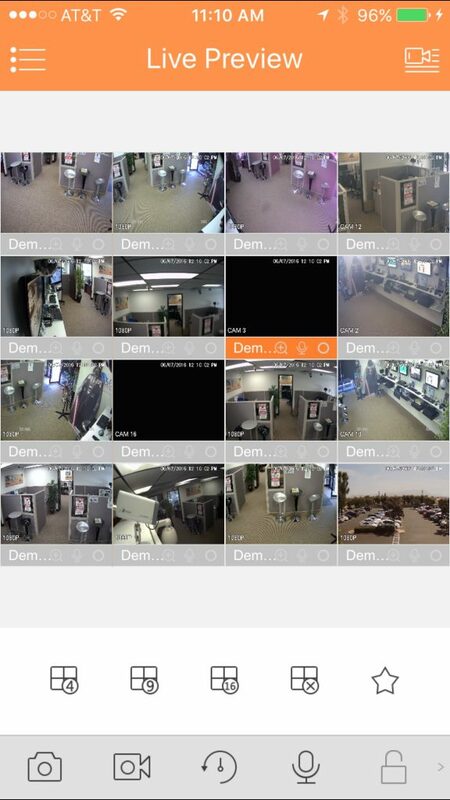 Our mobile apps allow you to remotely view your DVR and cameras from anywhere on the world. 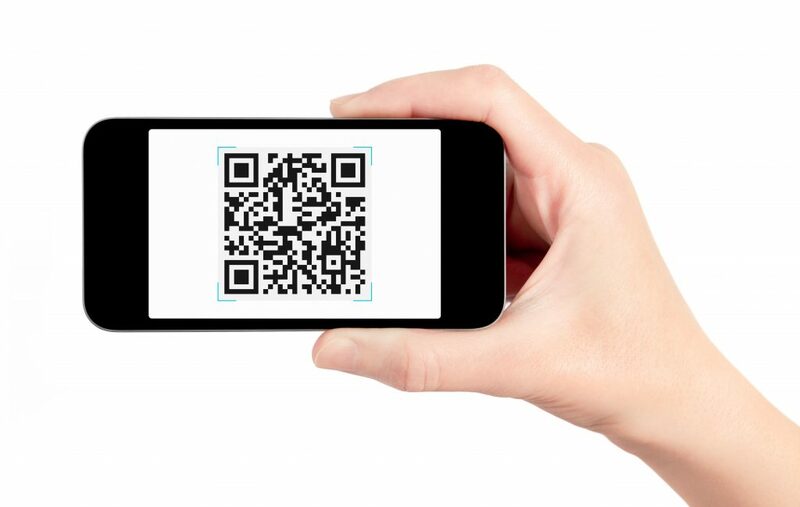 In this guide we will show you how to setup P2P or QR Code Scanning setup. No Port-Forwarding Needed. To access the P2P or QR code screen, you must first power on your recorder. Right click and select Main Menu->Setup->Network->P2P and the P2P/QR code will display. You must check the box to enable P2P function and then click Apply to save at bottom of screen. Make sure that your NVR/DVR is connected to your modem/router with a CAT5/Ethernet cable. 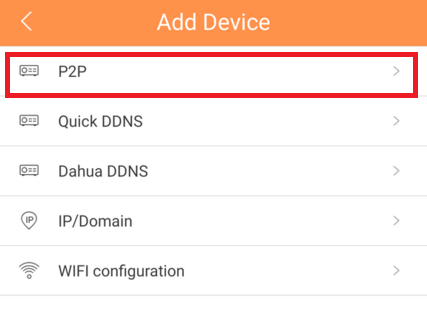 Once P2P has been enabled please go to TCP/IP section inside of the network screen. Enable “DHCP” inside of the Network settings and save. Once DHCP has been enabled you will need to reboot the system. Upon rebooting navigate back to the P2P setting to the system and scan the code with your mobile iMaxCam app and from this point you should be able to see the cameras. Step 1: Open the iMaxCam app and tap on Camera. 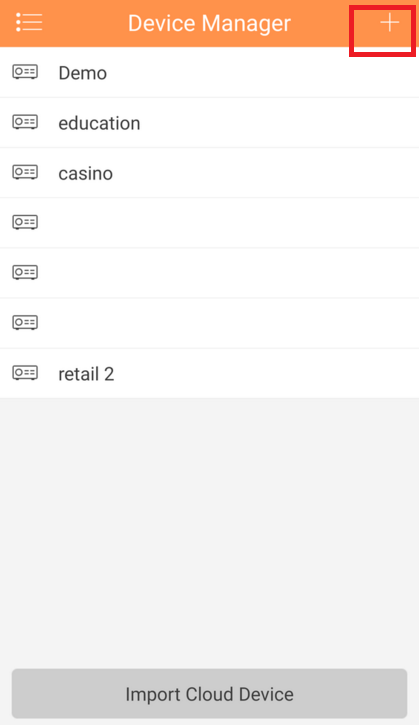 Step 2: Tap the menu icon on the top left corner to access the menu as shown in the picture. 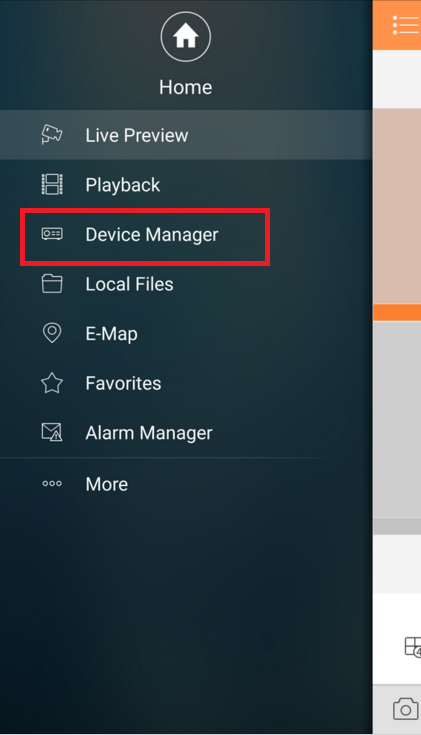 Step 4: Once in device manager tap the plus sign button (+), in the top right corner to advance to the next screen. Step 6: In this Screen you need to tap the QR code icon on the right where the S/N field is. Once you tap on QR Code icon the camera of your phone will start, go ahead and scan the code. Step 7: Press the “Start Live Preview” button to start watching the cameras. 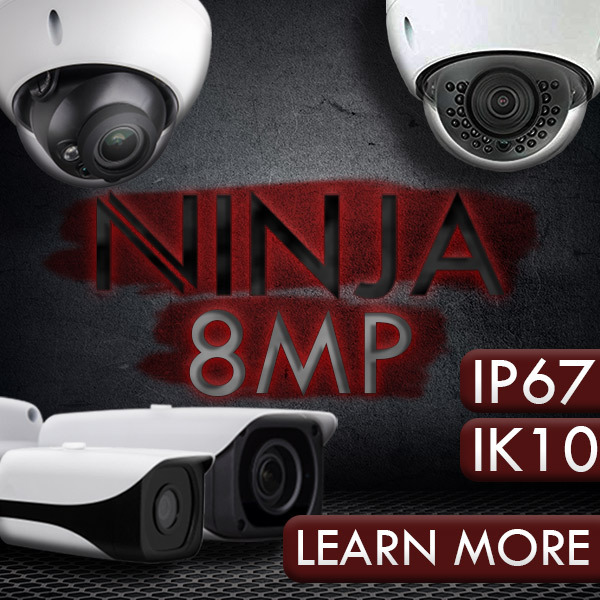 Viewing the live camera feed from your Integrator Series Network Video Recorder, or NVR, through a mobile device is simple, and can be done in less than five minutes. If you have used our G4MX App you will find it’s very similar, but if you haven’t, that’s okay too. 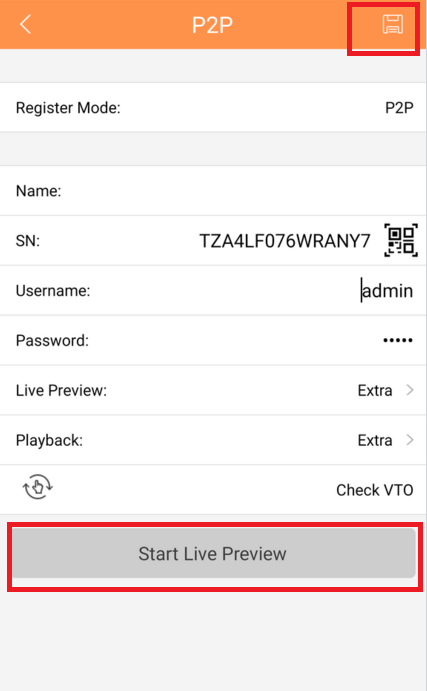 As in the tutorial for iMaxCam, In this short tutorial we’ll be showing you how to setup your live security camera feed on your mobile device via the peer-to-peer, or P2P method, using a QR Code Scanning setup. Think of it as allowing your camera server and your mobile device to meet up and communicate together in the cloud, just by using a bar code your device can read. No Port-Forwarding or IT specialists needed. On your NVR, rick click to login to the main menu. Then select “System”, then “Network”, then click the box marked “Enable DHCP”. This should allow all the forms to be automatic when you connect your device. If you would rather set your IP address manually, you can do that as well. Just leave the “Enable DHCP” box unchecked and you will be given an opportunity to set your IP address yourself. In the setting page you’ll see the QR code. Leave that up on your screen, because you will need to scan it with your mobile momentarily. On your mobile device, download the “EZView” App from your preferred app store. Once downloaded, go ahead and open “EZView”. Select the main menu icon in the top left hand corner. Then select “Devices”. This is where you can add new devices and manage existing ones. Now that you have your device page open, you will need to add a new device. 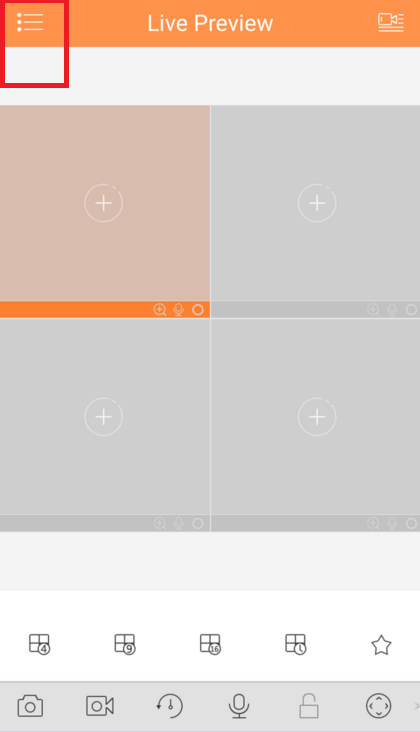 To do this, select the “+“ in the top right corner. Select “Add By P2P” to change the registration mode. Be sure to name your device (any name that works for you), then tap on the QR code icon to scan the QR code displayed on your monitor. Once you’ve done this, all of the information for your NVR should appear on your mobile, with exception of your user name and password. Go ahead and enter your login details there if prompted. 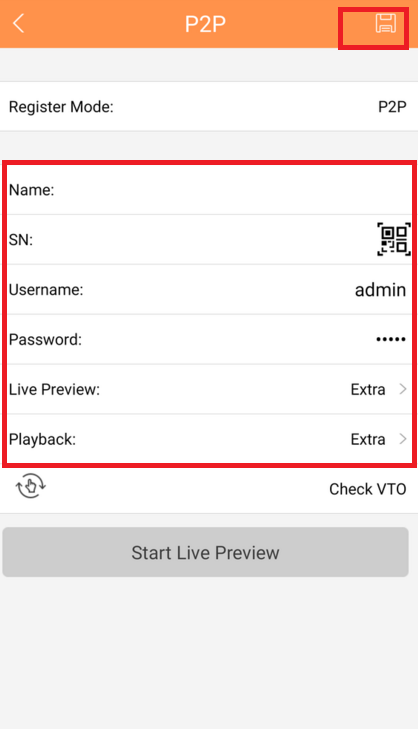 After Inputting the information above select “Start Live View” at the bottom of the page to complete the setup and begin viewing your camera’s live feed! If you have any other issues or need further assistance, don’t hesitate to contact us via phone, email, or live chat. We’re here to help you. 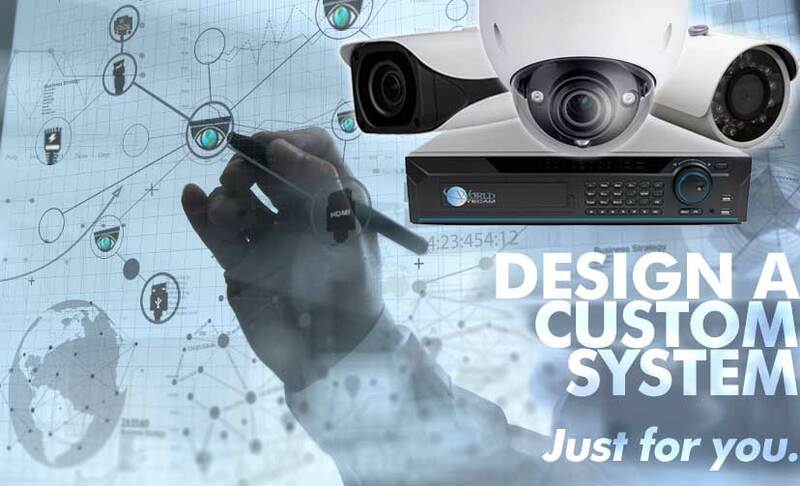 Because at World Eye Cam, we’re not just about security cameras. We want you to feel secure.